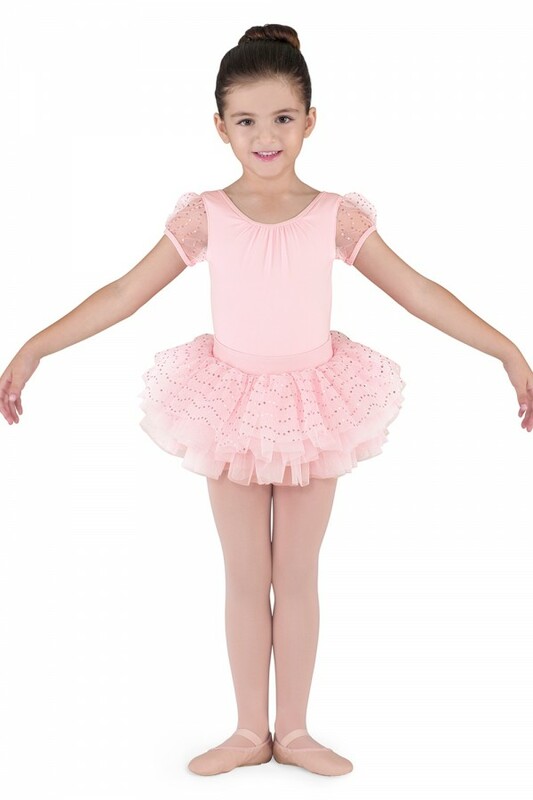 This cap sleeve leotard is perfert for you little princess. Scoop front has soft gather for beautiful style. Wave sequin tulle puff sleeves make this leotard a stand out! Pair with a tutu for ballet class or the stage.